Hello fellow Magic players! I’m back and I’ve got a pretty big update that’s going to affect upcoming Magic events at Dream Wizards. It’s all very exciting, so I’m going to get right into it. I should mention before I begin that this article deals exclusively with Magic organized play in-store. If you don’t play Magic, you might want to check out the cool stuff we’re doing anyway. We’re going to be using our Magic events as models for changes to other games in the future. Now, let’s begin. I’ve been working with the other employees at Dream Wizards over the past few months to overhaul our Magic event offerings and improve upon every aspect of Magic in the store. Some of these improvements can already be seen as you navigate our website, but the largest changes are still to come. Starting in July, we’re going to be adding new events and changing up existing ones including Friday Night Magic, PPTQs, and Prereleases. So, let’s start from the top. The first thing you may notice about this schedule is there’s (a lot) more Modern and Draft. After communicating with our players and looking at event statistics, we determined that the most popular FNM formats are Modern and Draft. Combined with the issues we’ve recently been having with launching Standard FNMs every week, this decision was pretty easy. So, we’re now doubling our Modern offerings every month! We’re also following similar logic with Draft. The majority of our players prefer Draft, so we decided to offer it every week! In addition to that, we are still going to offer Two-Headed Giant Sealed on the third Friday of every month. As far as Standard goes, we’re still offering that format every other week as well as Legacy on the second week of every month. To move Standard in line with our other constructed formats, we will now be offering store credit prizes for Standard FNMs as well! This change is another very hotly requested thing among our players. So, now you can use your FNM prizes to pick up that single card you need for your deck, or that board game you’ve been looking at. And – as always – you can use your FNM prizes to pay for FUTURE EVENTS! Yay, freedom! 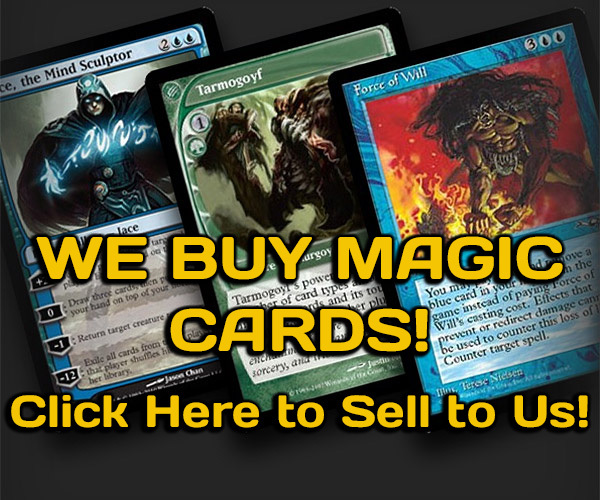 As of this moment, store credit prizes will only be offered for our constructed FNM events. Draft and 2HG events will still receive booster pack prizes. And that’s really it. All of these prize structures are GUARANTEED at a minimum of 10 players per event. (If we end up with less than that number, the prizes will be adjusted). The start time for all of our FNM events is changing as well. We will now be starting every FNM event at 7:00pm. This means that players will have a little extra time to sign up if they find themselves stuck in traffic. The final thing I want to mention about FNM is what happens on Prerelease nights. Prerelease weekends are special, and we want to kick them off right. That’s why, starting with the Eldritch Moon Prerelease in July, we will be holding a FREE Modern FNM the night before the Prerelease! What are the prizes for this event? Other than FNM promos, we will be giving away one FREE Prerelease entry to the winner of the event! This also means that because our FNMs are entirely swiss-style rounds, we may run more than four rounds that night. So, if you’re coming to Dream Wizards for our midnight Prerelease event, don’t forget your Modern deck! Speaking of Prereleases, we’ve got something special planned for the Eldritch Moon event in July. If you think you’ve got the endurance to face the horrors of Innistrad for the entire weekend, try out our Eldritch Moon Endurance Challenge! For $100, you get entry into four Prerelease events (Midnight, Saturday morning, Saturday afternoon, and Sunday). That’s a $20 savings right there, but it gets better. If eight players sign up for the Eldritch Moon Endurance Challenge, we’ll be giving away a booster box of Eldritch Moon on release day to one random Endurance Challenge player! In order to qualify for this giveaway, you will need to play in each of the four events for at least two rounds. That’s right! Save $20 on four Prerelease events, and win a FREE box of Eldritch Moon! We’ll be taking pre-registration for the Endurance Challenge starting this Friday, so make sure you get in on this awesome deal now! That’s $600 in cash prizes! And that’s not all. If the attendance of this event reaches 55 players, we’ll increase the prize pool to $1000 cash! So, not only can you come to Dream Wizards the weekend Eldritch Moon releases and play a sealed PPTQ event (with Draft Top 8), but you can also win a bunch of cash! Oh, and don’t worry about space. We can fit over 100 players in our play space! It’s also worth noting that in the future, our plans are to offer constructed PPTQs with $1000 cash prizes, so if you’re a Standard or Modern player, keep a look out for those! 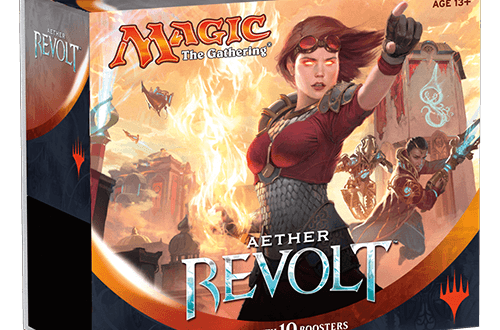 Did you read through all of the information above and think to yourself, “FNM is great, and Prereleases are fun, but what about the rest of the week?” Well, we haven’t forgotten about our casual players either. With the release of Eldritch Moon, we will be starting up a brand new event: the Fat Pack League. The rules of the league are simple. Each player purchases a Fat Pack and uses the boosters inside to build a 40-card deck. Then, play matches against other league players and earn points. At the end of the 6 week league, prizes will be awarded to those who have the most points! In addition to your Fat Pack, active league players will receive a booster pack to add to their deck at the end of each league week. The final details, prizes, and entry fees will be announced at the beginning of next week, so keep an eye on that. In addition to the Fat Pack League, we’re going to be supporting more Commander action with Commander League Saturdays! Starting in July, Commander League Saturdays will feature fun, friendly Commander play that puts an emphasis on cool and interesting game play over competitive winner-take-all mentalities. So if you’re looking for a more casual, friendly event to play in and still win some cool prizes, check out the Commander League! More details on this event to come next week. Finally, don’t forget that Thursday night is the home of Thursday Night Casual Magic! Bring a deck from your favorite format, or try out something new! Thursday Night Casual Magic is the home of the Group Game Draft, a multiplayer draft format featuring fun and unique rules, as well as the best place for Commander games all week! That’s a lot of information to take in, I know. It took a while for me to write it all down. This is a big change for our Magic events, and we wanted to make sure that there was a place where you could find all of the information in one spot. Now time for the TL;DR version of the changes. 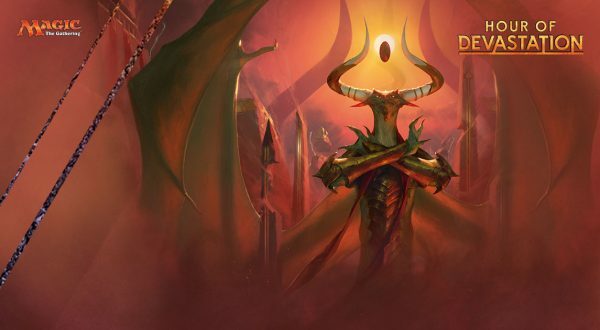 Starting in July, FNM will rotate between Modern and Standard each week and offer Commander and Draft each week. On the second Friday, we’ll be offering Legacy and on the third, we’ll be offering 2HG, which will replace Commander that night. The start time for all of our FNM events moves back to 7:00pm. In addition, all of our constructed FNMs will be giving out store credit prizes. Also, don’t forget to play in the Modern FNM on July 15th for a chance to win free entry to the Eldritch Moon Prerelease. For the Eldritch Moon Prerelease, we’re offering a 4-for-$100 deal called the Endurance Challenge. If eight people sign up for the Endurance Challenge, we’ll randomly give one of them a booster box of Eldritch Moon on release day! 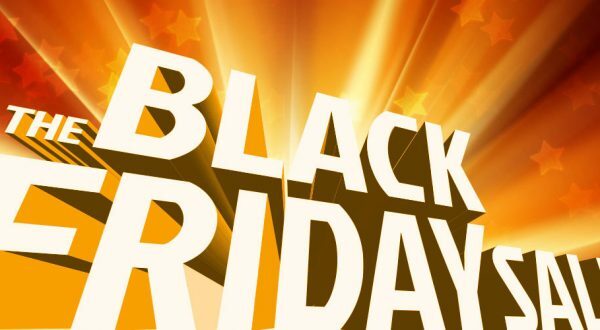 Save $20 and win a free box! The July 23rd Sealed PPTQ will be the first of hopefully many competitive-level events to feature a large cash prize pool! We’re guaranteeing $600 in cash to the Top 8, and if we reach over 55 players, we’ll bump the prize pool to $1000! Future constructed PPTQs will also offer $1000 prize pools! When Eldritch Moon releases, we will be starting up a new Fat Pack League. Buy a Fat Pack and use it to build a Sealed deck, then play matches over six weeks to earn points and win prizes! Starting in July, join us on Saturdays for Commander League! Casual, fun-oriented play will be rewarded with cool prizes! And that’s about it. So, what change are you most excited for? Let me know in the comments below, or come talk to me at the store. I’m there pretty much every day, and always when there’s Magic happening. Oh, and finally, as a bit of shameless advertising, don’t forget to pre-order your Eldritch Moon booster boxes and fat packs now! Click the banner below to head to our online store, or come by the store to make sure you get yours! Next Post:Kaladesh Bundle League – Starts October 1st!